Dozens of graduating high school seniors signed a letter on Monday declaring their refusal to enlist in the Israel Defense Forces. The missive, which was addressed to Prime Minister Benjamin Netanyahu, Defense Minister Ehud Barak, and IDF Chief of Staff Gabi Ashkenazi, stated that the reason for their refusal to serve stems from the belief that "there is no military solution to the Israeli-Palestinian conflict." "We hereby announce our refusal to take part in the military apparatus," read the letter which was signed by 88 youths. "We do not see a military solution as the proper solution to the Israeli-Palestinian conflict." The former Prime Minister Tony Blair was told today he had "blood on his hands" by a bereaved father at a reception following a memorial service for those killed in Iraq. Peter Brierley, whose son Lance Corporal Shaun Brierley, 28, was killed in March 2003, refused to shake Mr Blair's proffered hand and said: "I'm not shaking your hand, you've got blood on it." The former prime minister was ushered away and afterwards Mr Brierley, from Batley, West Yorkshire, said: "I understand soldiers go to war and die but they have to go to war for a good reason and be properly equipped to fight." Israel Air Force fighter jets on Tuesday scrambled against an ultralight plane en route to an air show in the southern city of Arad, after it breached the airspace of the nuclear reactor facility in Dimona. 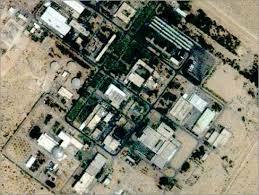 The pilot reportedly strayed from his planned route, flying from Rishon Letzion in central Israel to Arad near the Dead Sea, and inadvertently entered the reactor's airspace. Realizing his error, the pilot then called in by radio that he had lost his way and was instructed to land in Arad, where he was questioned by local police. TVNL Comment: Why is Israel allowed to produce nuclear material without UN inspection? Just asking. President Obama has reaffirmed a 4-decade-old secret understanding that has allowed Israel to keep a nuclear arsenal without opening it to international inspections, three officials familiar with the understanding said. Has Israel grown dependent on terror? Yet the fact remains that Palestinian terrorism, whether borne by Qassam or suicide bomber, has decreased dramatically. At the same time, terrorism, whether real or not, remains central to Israel's explanations of many of the most morally problematic of its policies, including the siege of Gaza and restrictions on the movements and commerce of Palestinians in the West Bank. A new report from Adalah shows how the courts and police attempted to stamp out opposition to Operation Cast Lead "This is a time of war, and every incident harms the people's morale." This was not a sentence in a right-wing journal, but rather a statement by an Israel Police representative during Operation Cast Lead seeking to persuade the Tel Aviv District Court to block anti-war protesters from the city.